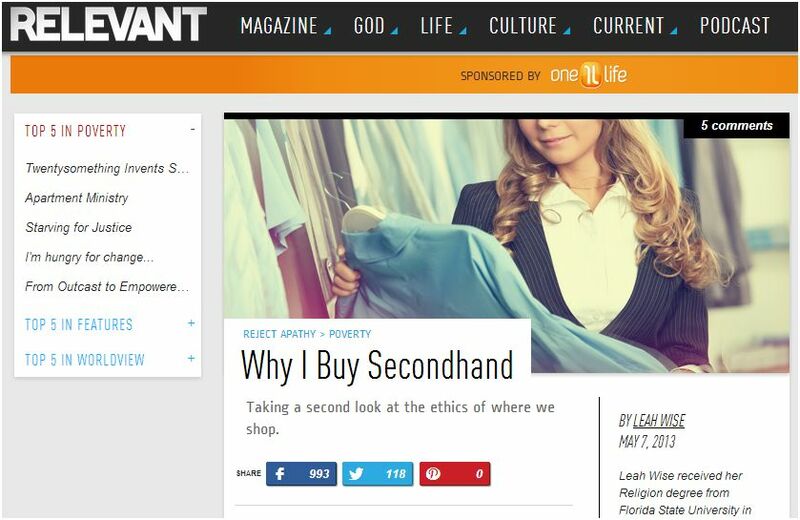 My article, Why I Buy Secondhand, went live on the Relevant Magazine website earlier today. I’m excited by the responses, shares, and dialogue created by it so far. Take a look if you haven’t already seen it.